Yellow flowers symbolize the bonds of friendship, success and pride. 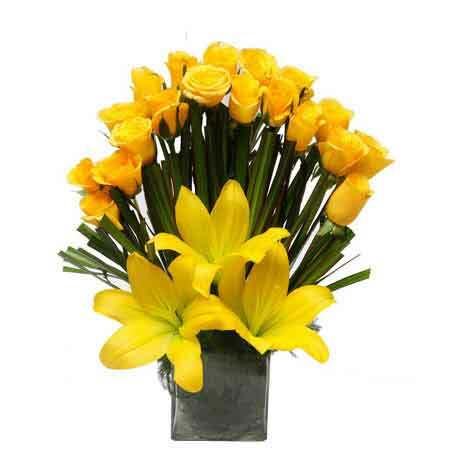 Send online these amazing 21 yellow roses and 3 yellow lilies in a square glass vase. These scented and cheerful flowers will just make the receivers feel your emotions even if you are miles away from them.